Sullivan Lauderdale dreams of one day playing professional soccer. A 2016 graduate of St. Mary’s-Colgan High School in Pittsburg, Lauderdale spent the summer working toward that ultimate goal by suiting up for the semi-pro Demize NPSL soccer team. 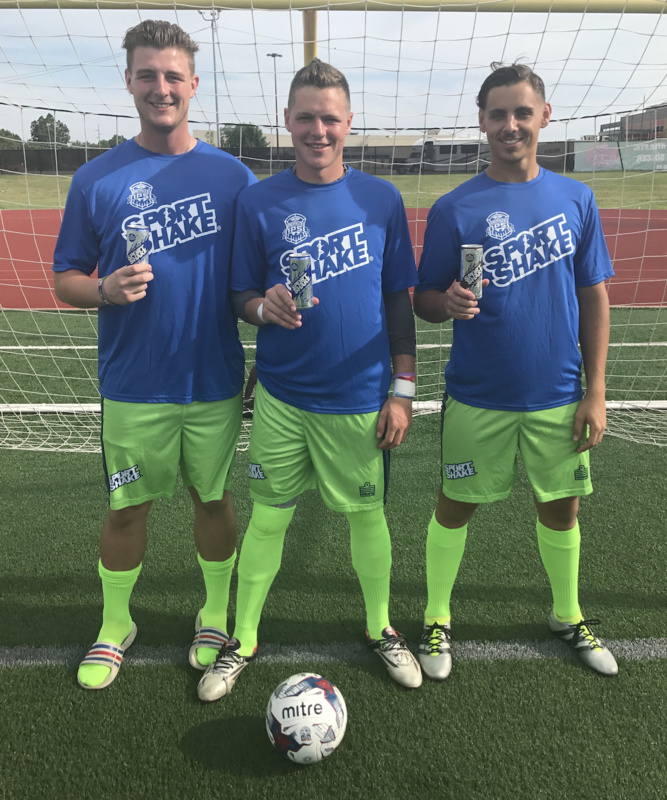 A goalkeeper who plays collegiately at NCAA Division I Oakland University in Rochester, Michigan, Lauderdale started four regular season games and one exhibition this summer for the Demize, Missouri’s only National Premier Soccer League franchise. Noting his main goal for the summer was to improve his skills against the highest level of competition possible, Lauderdale said playing for the Demize was a valuable experience. Lauderdale noted the NPSL is much different level than college soccer. Demize NPSL director of soccer operations and head coach Chris Hanlon said Lauderdale made a nice contribution to his squad during the 2017 campaign. Lauderdale would agree with that last statement. “I think the summer definitely prepared me well going into the college season in the fall,” Lauderdale said. Playing for his father Sean’s Pittsburg Purple Dragons as part of a co-op agreement with Colgan, Lauderdale set school records for career shutouts (25) and shutouts in a season (10) during his standout prep career. With Lauderdale in goal, the Dragons won a regional title and advanced to the state quarterfinals for the first time in school history. In addition to playing at the high school level, Lauderdale honed his skills by playing for club teams in both Springfield and Kansas City. Lauderdale, who has been playing the “beautiful game” since he was 4 years old, credits club soccer for helping him attract college coaches. Lauderdale noted he came to love playing goalkeeper during his final two years of high school. During his senior year of high school, the 6-foot-1, 180 pound Lauderdale signed with Oakland. One of the Oakland assistant coaches is Armen Tonianse, who previously assisted Hanlon with the franchise formerly known as the Joplin Demize. Lauderdale had trained with Tonianse and decided to join him at the Detroit-area college. After redshirting last year, Lauderdale is in line to be Oakland’s starting goalkeeper when the season begins in late August. Lauderdale added that Oakland does not field a football team, so the soccer team draws a lot of interest each fall. The Golden Grizzlies of the Horizon League went 7-10-1 last year, including 5-4 in Horizon League play. “I always say when I recruit goalkeepers to Oakland that I can't teach size, athleticism, work rate, and coach ability, so if you have all those like Sullivan does, we can train and improve the technique, decision making and distribution,” Pogue said in a recent press release. After college, Lauderdale envisions himself making a living by playing the game of soccer. Hanlon feels Lauderdale has a good shot of reaching that lofty goal. Lauderdale said he may be back with the Demize next summer. And regardless of where he suits up in the future, Lauderdale admits that gaining experience with the Demize this summer has helped him move forward toward his ultimate goal of playing professionally. “I think it was a really good environment to build on my soccer career and for moving forward for the future,” he said.